September 14, 2016, marks 80 years since the first Firestone tyre to be built in South Africa rolled off the assembly line in the company’s new factory in Port Elizabeth in the Eastern Cape. Today, 80 years ago, Harvey Firestone Jnr, together with first Managing Director John Cohill, officially opened the PE factory. Harvey purchased the first 7.06 morgen (approximately six hectare) site on the corner of Kempston and Harrower Roads on the outskirts of Port Elizabeth in 1935, for 750 pounds. The original production capacity in 1936 was 350 car tyres a day, and 150 people worked at the factory. Firestone SA became part of Bridgestone, the world's largest tyre manufacturer, in 1997, and is one of only a few companies which can boast an unbroken 80-year history of manufacturing in South Africa. Today, Bridgestone South Africa’s PE Plant has a total of 43000 square metres of factory space, employs over 350 people and has a capacity of 800 tyres per day ranging from 10kg front tractor tyres to earthmover tyres weighing up to 800kg. 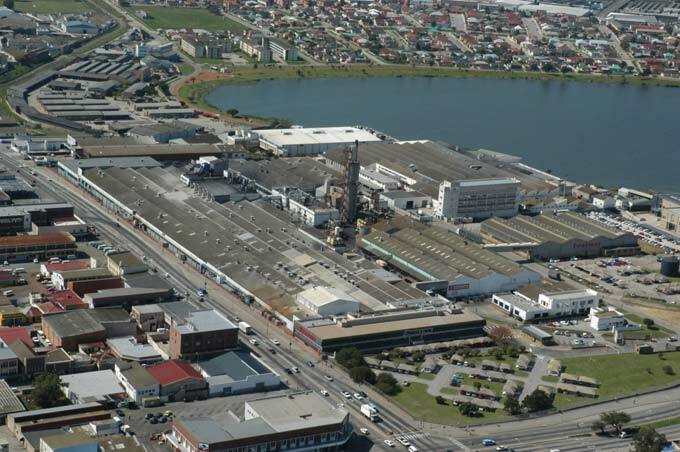 “Bridgestone's PE plant has been a cornerstone of the South African motor industry,” said Plant Manager, Keith Gibbs. “We have provided employment for generations of Port Elizabethans and led the way in tyre manufacturing quality and process control.” Apart from being the only tyre company to manufacture bias truck tyres locally, Bridgestone also has a second plant, based in Brits, which opened in 1971. “Bridgestone's South African plants are supported by a vast sales network, including nearly 260 Supa Quick branches.” said Bridgestone CEO, Gavin Young. “Our commercial arm helps corporate customers select and maintain tyres for both light and heavy goods vehicles as well as for the mining industry. We are fully committed to South Africa and look forward to many more years of producing quality tyres in the country,” he concluded.